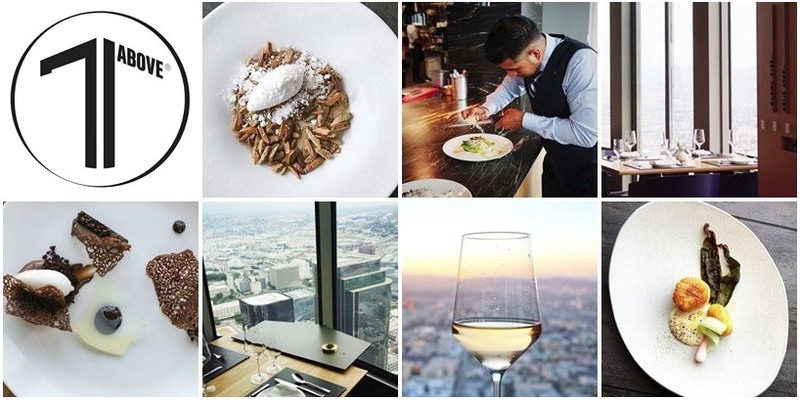 71Above is a modern American restaurant, located in Los Angeles, CA 90071, it is a place with a beautiful view and a romantic atmosphere to dine. The food is prepared by the chef Vartan Abgaryan, and it’s the perfect spot for a fine dining experience in L.A. There are a few rooms available for private dining, reservations are accepted online or by phone call, gift cards are also available to purchase online. The dress code is smart casual, jackets are suggested for men and dresses are suggested for women. Visit 71Above in Los Angeles at 633 W. 5th street, call to 213.712.2683 for more info.